Is Germany a true friend of Israel? 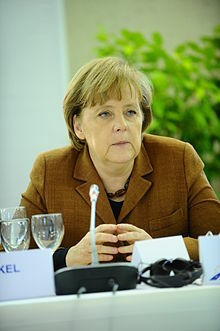 Next month, Chancellor Merkel faces the easiest human rights test in Germany’s post-war history. 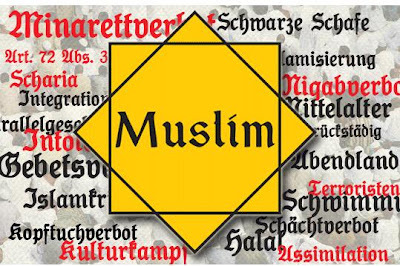 The Germans can continue to embarrass themselves by supporting a UN-sponsored anti-Semitic lynch mob in the guise of a rally against racism, or they can walk out. Next month, New York will host an event marking the 10th anniversary of another dark hour, the notorious UN-sponsored Durban world conference on racism, which became a platform for some of the world’s worst human rights abusers to call for Israel’s destruction. He called for the obliteration of Israel and Zionism, declaring "Governments must be encouraged and supported in their fights at eradicating this barbaric racism. Efforts must be made to put an end to Zionism." Iran's despot used his UN stage to voice his oft-repeated denial of the Holocaust, saying that Israel was "created on the pretext of Jewish suffering from World War II." Sadly, but unsurprisingly, he is expected to speak again next month in New York. While the United States, Canada, Italy, Australia, the Czech Republic, the Netherlands and naturally Israel have declined to attend an event whose participants call for the elimination of a UN member, Germany will send its diplomats to the third Durban conference, as its parliament continues to court Israel’s most despicable foes in Tehran. Protestant church officials in Austria and Germany lobbied the West German government to try to help Adolf Eichmann, one of the main organizers of the Holocaust, after his arrest by Israeli agents in 1960. One church leader described Eichmann as "fundamentally decent" and "kind-hearted." 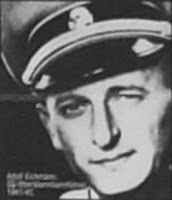 The German Protestant Church put in a good word for Adolf Eichmann, the chief logistics organizer of the Holocaust, after his arrest in Argentina by Israeli agents in 1960, SPIEGEL has learned. The Superintendent of the Protestant Church for Upper Austria, Wilhelm Mensing-Braun, based in the Austrian city of Linz were Eichmann was born, wrote a letter to the foreign affairs department of the Evangelical Church in Germany in Frankfurt claiming that the mass murderer "had a fundamentally decent disposition," was "kind-hearted," and was characterized by "great helpfulness." At that time, Eichmann was about to be put on trial in Jerusalem for crimes against humanity. Braun went on that he could not imagine that the former SS officer "would ever have been capable of cruelty or criminal acts." Eichmann's family had enlisted Mensing-Braun's help because they wanted Eichmann to be tried by an international court rather than an Israeli one. Bishop Hermann Kunst, the representative of the Evangelical Church at the West German government, passed the letter on to the German foreign ministry with the note that the assessment was "at least interesting." Recently, the Swiss were invited to enjoy a BBQ and a beer while killing Jews. Now this. 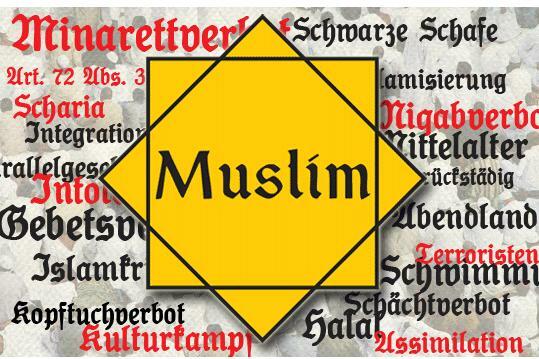 "A parallel with the discrimination suffered by Jews in the 1930s is made here and I do not say otherwise. 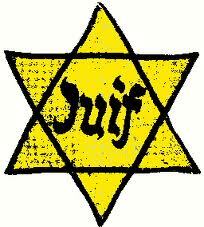 Now playing with a symbol like the yellow star is inevitably difficult. But is it not a means to make people think? I think we have entered an era where communication campaigns focus on shocking people. As the UDC campaigns show. So yes, I would campaign with a more nuanced approach. But do we still have a choice?" 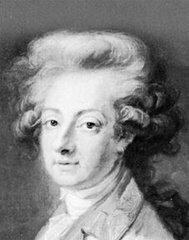 France is probably the most hostile of all European countries to Israel and is certainly not free of antisemitism (the murder of two young Jewish men Ilan Hamili and Sebastien Selam, the Al-Durah affair, Dieudonné, Faurisson, Soral, the anti-Zionist party, Le Pen, biaised school books and of course Charles De Gaulle (Churchill would never said that) who declared at a press conference in 1967 that "the Jewish people, self-confident and domineering" - 20 years after the Holocaust... and President François Mitterrand's complaint about the power of the "Jewish lobby" etc etc). 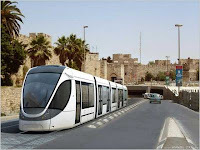 JSS News reports that French staff in Israel affiliated to the Quai d'Orsay have been formally forbidden by French Foreign Minister Alain Juppé (also known for his anti-Israel penchant) to attend the inauguration of the Jerusalem tramway. Surely other European diplomats in Israel will have received similar orders. The author of the light verse below, Helge Vladimir Tiller was born in 1941, lives in Oslo, and is a regular contributor to Dagsavisen, Norway’s leading left wing daily, commonly regarded as the mouthpiece of the Norwegian Labor party. No, it was mad cow disease. Similar situation with Nivea in Germany: Nivea website excludes Israel, includes "Palestine Territories"
"Hi, I came across a similar situation with the international Website of the French luggage-maker Delsey (http://www.delsey.com/stores/). After lodging a complaint and some adverse publicity, Israel was reintegrated (I believe I still have the e-mail with their apologies). 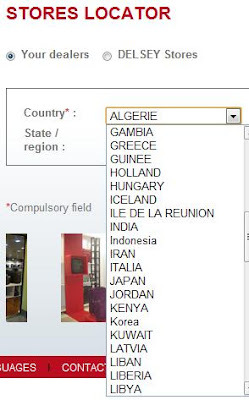 It now seems that it was not enough because I have just checked their site and yet again Israel does not feature on their country list. 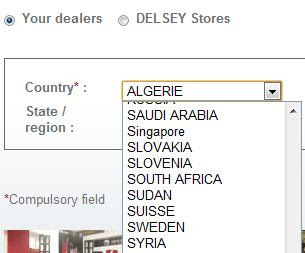 [...]"
Indeed, the famous French luggage creator Delsey sells its products in Israel (Delsey Israel/Facebook) but Israel is not on their list, which has many countries among which ... Sudan, Libya, la Syria, Saudi Arabia etc (screenshots below). In spite of our reader's complaint, Delsey who had put the State of Israel on their country list and offered apologies, has (probably under commercial pressure by you know which "lobby") removed it again. Should we conclude that Delsey does not have a dealer in Israël but has one in a failed State like Sudan? For Mathlouthi, "Zionism is a racist anti-Arab ideology" and Yasser Arafat and the PLO have committed a grave error by accepting the existence of the State of Israel. Belgian satirical newspaper UBU-PAN reports that a French businessman Tawfik Mathlouthi has acquired Spontin which produces and sells water and lemonades, and fruit syrups and specializes in the setting out of bottle of water, syrups, and lemonades. The new owner was described in 2003 by a French left wing magazine as "an agitator and a wheeler dealer who stirs up the passion of anti-Jewish and anti-Israel hatred". This helps explain why so many citizens feel so worried and disenfrachised by what is going on in Europe. PARIS, Feb. 12, 2003 (JTA) --- The latest weapon in the battle against American imperialism and Zionist colonialism may bear a resemblance to Coke, but its political message may leave a sour taste for some. Since last September, Tunisian-born entrepreneur Tawfik Mathlouthi has already produced more than 3 million bottles of his Mecca Cola from a little bottling and manufacturing plant in the Paris suburbs. Purchasers of the product are reminded that 10 percent of the profits go to Palestinian causes, although Mathlouthi is reticent about specifying the names of the organizations he supports.